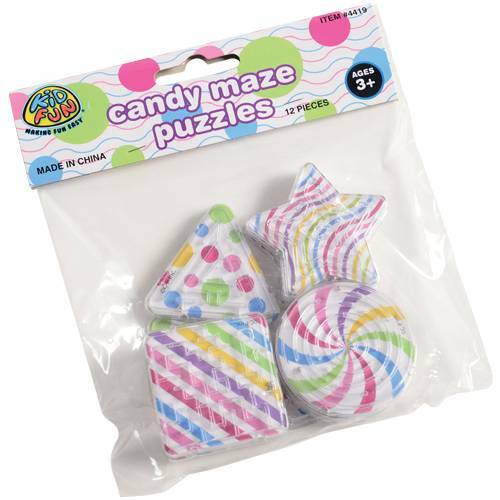 Challenge your young guests with these candy themed maze puzzles. A great addition to goody bags, simply maneuver the ball inside this puzzle game to get to the end. Hidden throughout the maze are dead ends so be cautious or you will be trapped in this candy land forever. 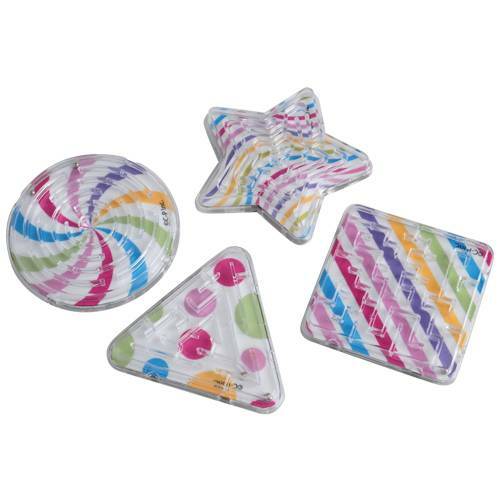 A perfect match to our candy themed party supplies.